At this time of year, there’s nothing quite like a warming bowl of porridge for breakfast. It’s quick to make, comforting to eat and keeps you sustained for several hours. Plain porridge is good, but it’s nice to jazz things up a bit and this vegan prune porridge topped with toasted walnuts and cinnamon makes it a bit more special. 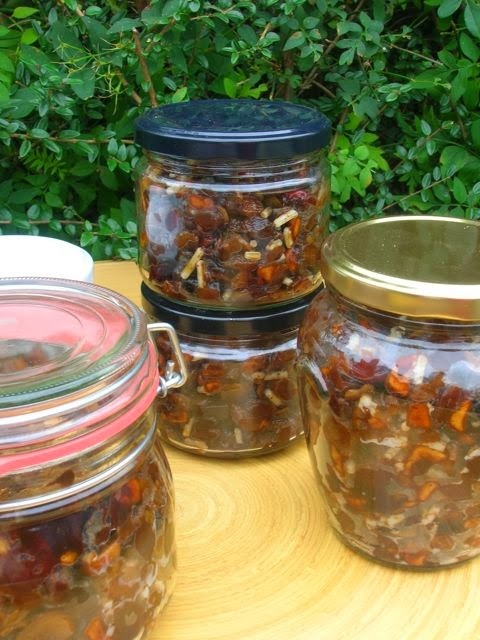 Homemade mincemeat is a revelation, once made it’s hard to go back to a commercial product. Even inveterate mincemeat sceptics like CT are happy to partake of this. In fact it was hard to keep his hands off the Chilli and Chocolate Mincemeat Slice I made last year. Summer finally arrived a couple of weeks ago and cooking, especially cakes, suddenly didn’t seem quite so appealing. I had, however, a Transition meeting to attend that Monday evening where we were all meant to bring along some food to share. So despite the heat on Sunday, I made a cake – a prune cake from Unwrapped – it sounded rather yummy and smelled wonderful. Melted 125g unsalted butter together with, 100g Maya Gold, 2 tbsp treacle and 3oz muscovado sugar in a pan. Sifted 175g flour (half wholemeal, half white), 1 tsp bicarb of soda, 2 tsp ground ginger & 1 tsp cinnamon into a bowl. Snipped 125g pitted prunes into pieces and tossed in flour. Made a well in the centre, poured in chocolate mixture and stirred. Stirred in 100g Greek yogurt and 50g water (recipe stated 150g buttermilk). Poured into a 2lb loaf thingie and baked at 160C for 50 mins. The whole house smelt really good for ages, so I forgave the cake for the hot kitchen its creation had engendered. 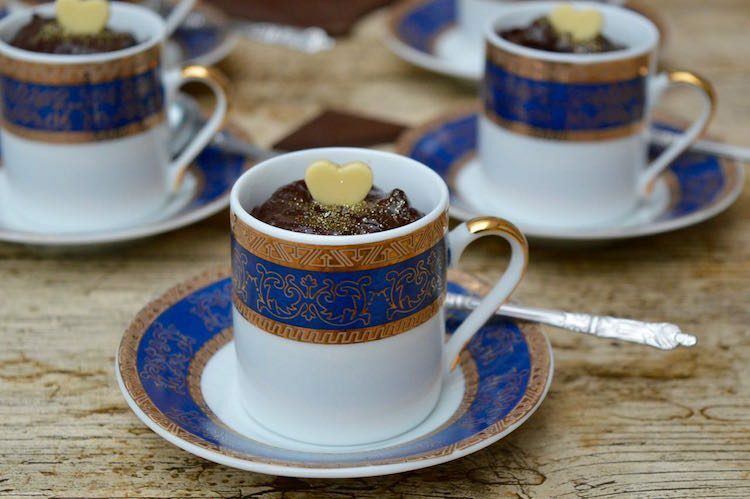 This cake was wonderful – a fine texture and really smooth in the mouth. It was light, moist, not too sweet and well flavoured without being overly spicy. It also kept really well. I know this because we got to take the remaining quarter home. I put it in a tin, then forgot about it until last night – it was not only entirely edible, but even more delicious. I’m off to Bath with CT and a friend this morning for a couple of days. I hardly know Bath at all, so am looking forward to taking in the sights. However, this is not a simple sightseeing tour, but a much anticipated day spent with Rachel Demuth at her vegetarian cookery school where we will be making Middle Eastern mezze. Meanwhile CT will wander the streets in search of anything interesting in the botanical line.